Tell us briefly about yourself and the digital media you represent. 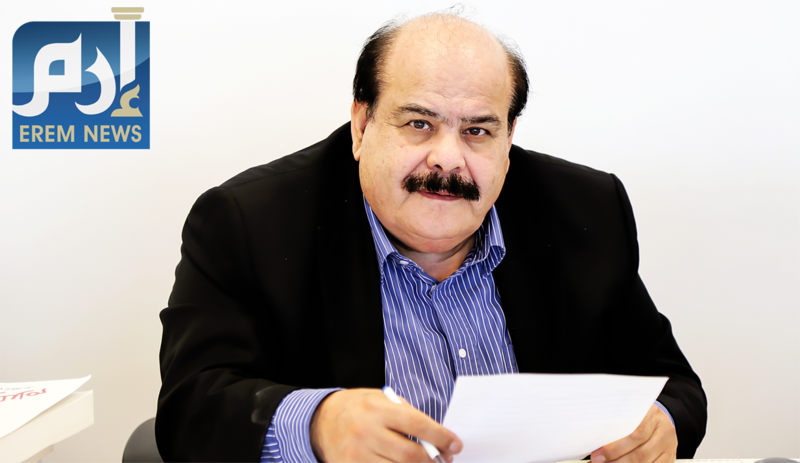 My name, Tajaddin Abdul Haq, has been associated with media for more than forty years, during which I worked in different traditional journalism forms, namely print, audio, and visual press. I also worked in various media organisations, including daily newspapers, weekly magazines, and television channels, in addition to providing media consultancy services. My relationship with digital media began in 2005, when I became Elaph site’s Editor-in-Chief, specialising in Gulf Affairs. Later, I moved to the consultancy field, then returned to digital media by mid-2013 as founder and Editor-in-Chief of Erem News Network and publisher of Foocia fashion site. Here at the Erem Media Network, which operates through the free media zone, Abu Dhabi 2454, we believe that the major challenge facing digital media is enhancing and stimulating the demand for this in a market that is still dominated by the printed and visual press. Therefore, we are keen to develop the media content through adding photographic and video content so that it may challenge and compete with what is presented through other media. We are also trying to develop field coverage due to our belief that speed is the most decisive factor of success for a digital news site. How do you currently apply Narratiive to enhance your advertisement sales? Narratiive is an important factor in measuring the level of performance, business development, and getting access to the target audience. Moreover, it provides an accurate and credible image to our advertising partners. What would your concentration be during the next 12 months to ensure your ability to provide an excellent product for those who advertise on your site, thus boosting their promotional campaigns? Being a news network in the Gulf region, and due to the important location of this region within the advertising and media world, our biggest concern is improving the level of our attendance in the Gulf media scene, and having access to a new audience and reader segments, as well as upgrading the level of traffic for our website to become more attractive. We also hope to expand our social media presence, which is currently attracting a great deal of our readers’ attention and engagement. How does your current business relate to the Programmatic Space? We have just started our link with the programmatic space through partnership, and we will continuously strive to meet the suitable partner for us.